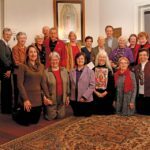 A gala held in honor of Agnese and wife Mickey. Lutz presents Agnese with the honor of president emeritus in December. 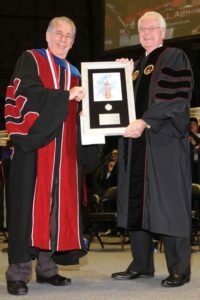 Dr. Louis J. Agnese, Jr., was honored with the titles of president emeritus and board of trustees emeritus at the Fall 2016 Commencement Ceremony. Board of Trustees Chair Charlie Lutz presented the honors. In addition, Agnese’s legacy was celebrated with dinner hosted by the Sisters of Charity of the Incarnate Word on Dec. 11 with family and friends at the Brackenridge Villa, a gala in honor of he and his wife Mickey in the McCombs Center Rosenberg Sky Room and a Mass held in the Chapel of the Incarnate Word both on Dec. 12. 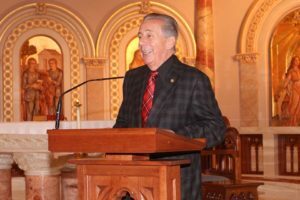 Agnese served as the eighth president of Incarnate Word beginning in 1985, when at the age of 33 he became one of the youngest college presidents in the United States, until his retirement in 2016. His was the second longest presidential tenure in UIW’s 135-year history, after Sr. Columkille Colbert’s 37-year tenure. During his presidency, enrollment at UIW rose from 1,296 students in 1985 to 11,422 in 2016. 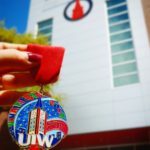 Paralleling that growth, UIW went from being the 19th largest private university in Texas to the 3rd largest private university in the state, based on global enrollment. 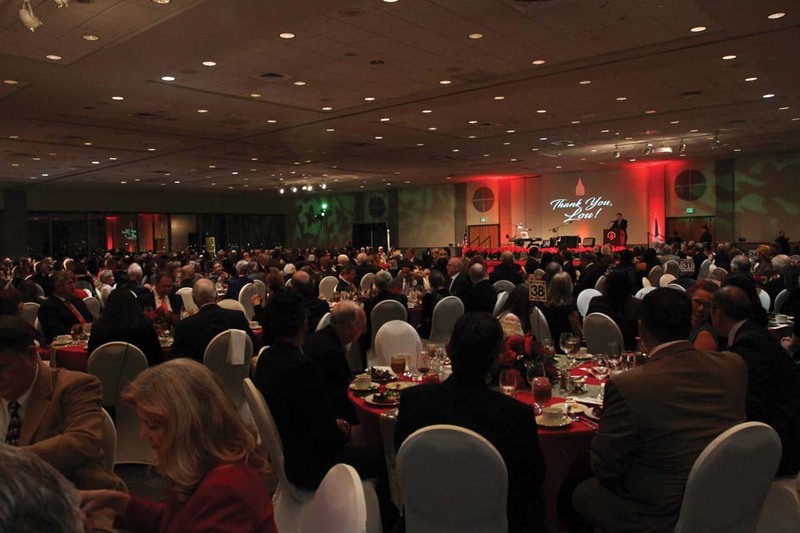 Incarnate Word now has more than 30,000 living alumni, compared to 8,000 in 1985. The number of academic programs doubled during Agnese’s presidency. 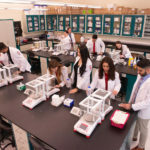 This includes the creation of Incarnate Word’s first two Ph.D. degrees and the addition of professional doctoral programs in pharmacy, optometry, physical therapy, nursing practice and business administration. In 2017, students will begin classes in UIW’s new School of Osteopathic Medicine. UIW also launched a football program and moved to Division I athletics. 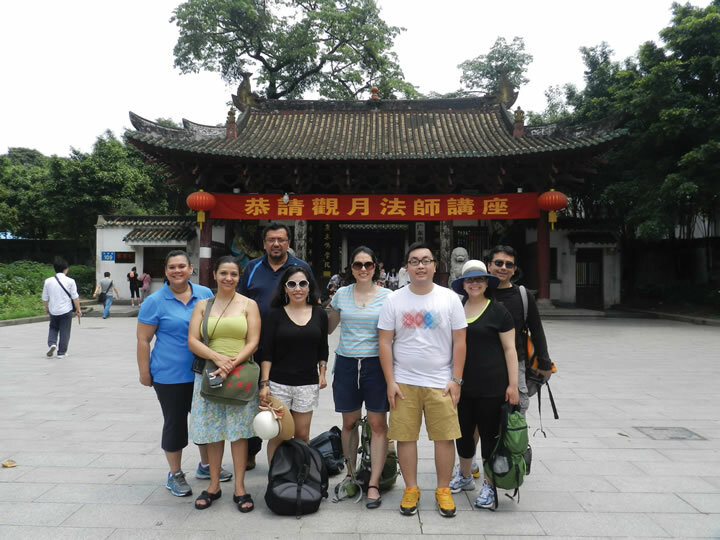 In addition, UIW expanded its statewide and international presence. 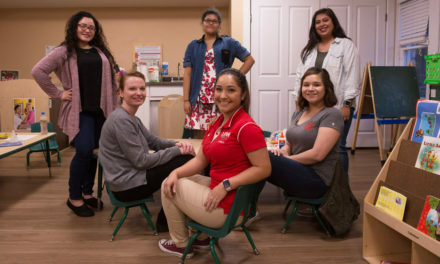 In 1985, UIW had only one location, today there are nine in San Antonio, sites in Corpus Christi and Killeen, European Study Centers in Heidelberg, Germany, and Strasbourg, France, and two campuses in Mexico. Under Agnese’s tenure, UIW became a leader in international education. Today, 28 percent of UIW students represent more than 70 countries. 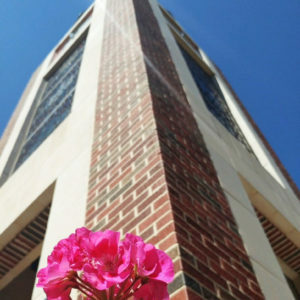 UIW also has 140 “sister schools” in 44 countries. Agnese was the recipient of many honors and awards during his UIW career. 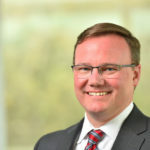 He was named one of Five Outstanding Young Americans and one of Ten Outstanding Young Persons of the World in 1989, when the American Marketing Association also named him Marketing Person of the Year. In 1996, he received the Humanitarian Award from the National Conference of Christians and Jews. He was also named Hispanic Educator of the Year, and was awarded the Gold Medal in the President and Public Category from the Council for the Advancement and Support of Education. In 2000, he was named the Outstanding Leader in Catholic Education by the Archdiocese of San Antonio and received the International Leadership Award from the San Antonio Council for International Visitors. In 2006, he received the Ford Salute to Education Lifetime Achievement Award for his contributions to higher education. Agnese speaks during Mass in the Chapel of the Incarnate Word. 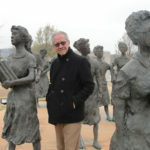 In 2009, Agnese was the recipient of the Sister Cecilia Bush Award from the Dear Neighbor Ministries for his Commitment to Minority Education, and he also received the Best and the Brightest Award from the University Roundtable of San Antonio. He was the recipient in 2011 of the Gov. Dolph Briscoe, Jr. Salute to Excellence Award from the North San Antonio Chamber of Commerce. In 2013, he was the recipient of a Legacy Leaders Award from the San Antonio Business Journal. Agnese was awarded an honorary Doctor of Business Administration degree from South Korea’s Woosong University in 2014 and an honorary Ph.D. from UIW in 2016. 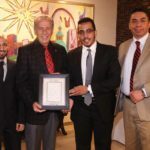 He had previously received the Distinguished Alumni Award from Gannon University in Pennsylvania and the Outstanding Alumnus of the Year Award from St. Mary of the Plains College in Kansas. Agnese has been a very active member of the San Antonio community, serving on the boards of several organizations. He is a past board member of the Hispanic Association of Colleges and Universities and was the former Chairman of the Partnership for Hope, a Rockefeller Foundation poverty project. He served as chairman of the North San Antonio Chamber of Commerce and vice chairman of the Hispanic Chamber of Commerce of San Antonio. He also served on the City Public Service Affirmative Action Commission, the San Antonio Literacy Council, the Executive Committee of the World Affairs Council of San Antonio, and MATT.org, a bi-national think tank. Agnese holds a Ph.D. in Counselor Education from the University of Pittsburgh; a Master of Education in Counseling and an Education Specialist Degree in Supervision of Counseling Services, both from Gannon University (Erie, Pa.); and a Bachelor of Art in History and Psychology from St. Mary of the Plains College (Dodge City, Kan.). A native of New York City, Agnese and his wife Mickey have two children and four grandchildren. 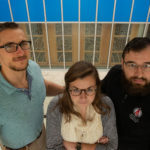 Marcos Fragoso (right), vice president for international affairs, and representatives of the International Student Association present Agnese with a thank you at a reception following the Mass. 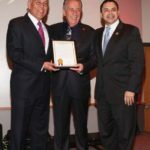 Former Congressman Henry Bonilla (left) and Congressman Henry Cuellar (right) present Agnese with a Congressional Record at the gala. Friends and family of Agnese gather for a photo at the Brackenridge Villa. 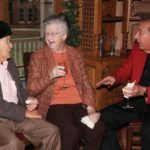 Louis “Papa” Agnese Sr., Sr. Margaret Patrice Slattery, CCVI, UIW president emerita, and Agnese visit at the Brackenridge Villa.